If you need to reset a students progress you can do it, just be sure that you have the correct student and really want to reset all of their progress, because this is not reversible. First access your section, find the student, and click the gear icon for student settings. 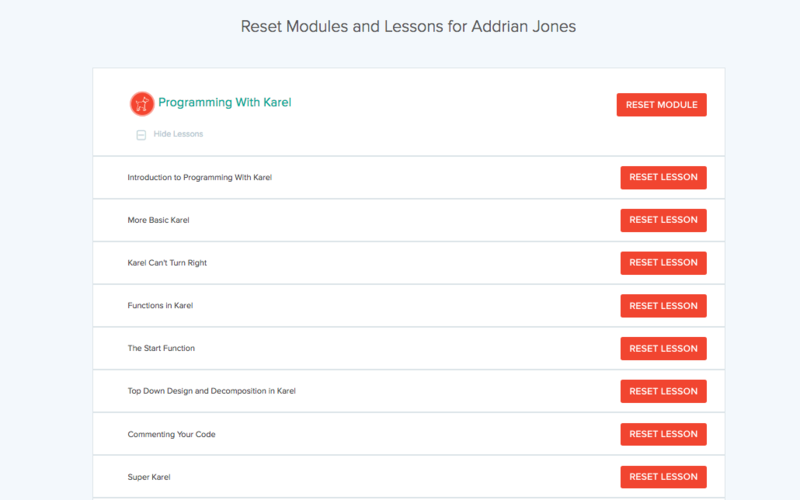 Next you'll click the red "Reset modules and lessons" button. This will NOT reset any press yet. After you select Reset Modules and Lesson, you'll see this page. 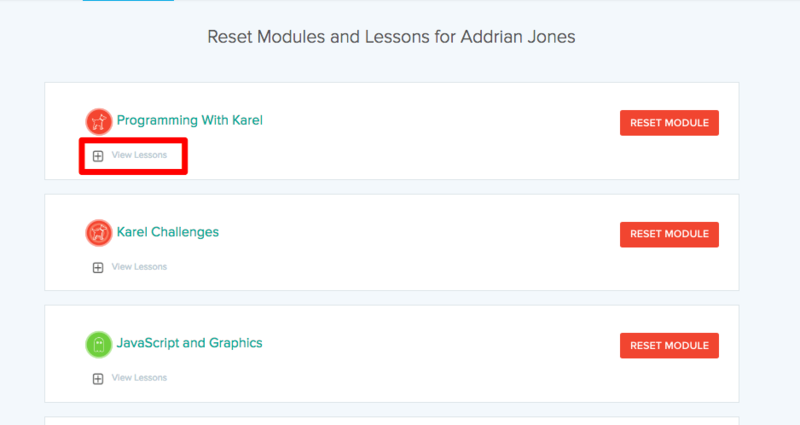 Here you can either Reset the entire Module or you can click "View Lessons." If you select View Lessons, you can then Reset by each individual lesson.